Former Republican presidential candidate Herman Cain on McDonald's decision to stop lobbying against minimum wage increases. On the heels of McDonald’s ending its lobbying efforts against raising the minimum wage, retailer Target reveals its bumping its minimum wage to $13 an hour in June. Target said Thursday it will raise its wages by $1 from $12 this summer as it continues to commit to reach $15 an hour by 2020. The move comes as retailers have been struggling to attract workers with U.S. unemployment at its lowest level in nearly 50 years and a record number of job openings. “It’s always been hard for retailers to find good employees. Smart employers are now realizing that it’s not only a matter of finding good staff members, but keeping them. When employees stick around, retailers have less turnover and can instead invest in the long-term growth of their team," Bob Phibbs, CEO of New York-based consultancy The Retail Doctor, told FOX Business. "Target raising the minimum wage is a win for everybody. They are taking the initiative to do what government won’t and pay their employees fairly," he added. 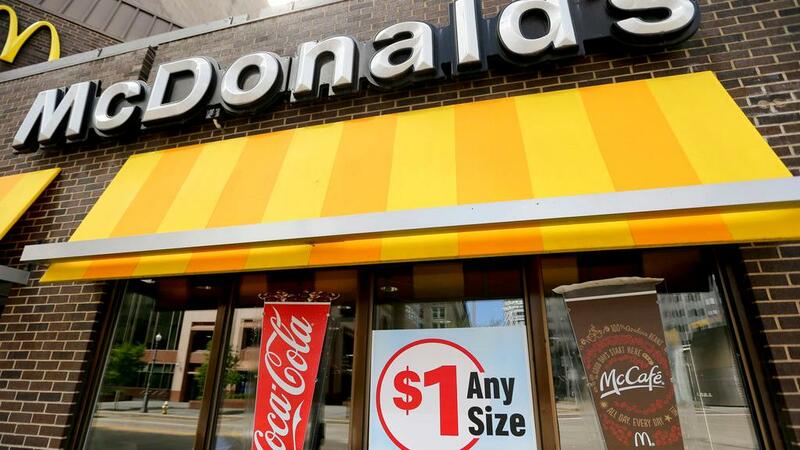 Late last month, McDonald&apos;s said it will no longer fight minimum wage hike efforts. In a letter to the restaurant association, Genna Gent, McDonald&apos;s vice president of government relations, wrote that the company now believes the "increases should be phased in and that all industries should be treated the same way." "The conversation about wages is an important one; it&apos;s one we wish to advance, not impede," she added, noting that going forward, McDonald&apos;s will not use any resources, including lobbyists or staff, to derail the increases from advancing. The shift from the burger chain, who previously opposed the hikes, also comes after the U.S. Chamber of Commerce president Tom Donohue told reporters earlier this year that they would be willing to negotiate raising the hourly wage, which has been stuck at $7.25 for more than a decade. But while others have hesitated, many companies have announced plans to raise the minimum wages over the last two years, especially in the wake of President Trump’s Tax Cuts and Jobs Act in 2017. FOX Business takes a look at the companies that have raised their minimum wages over the last year. Beginning on Nov. 1, Amazon raised its minimum wage to $15 per hour for the company&apos;s 250,000 full and part-time employees, as well as for its nearly 100,000 seasonal employees. The wholesale retailer announced in June that it was raising its minimum wage to $14 per hour from $13. Costco pays employees some of the highest wages among U.S. retailers, with the average hourly salary of $22.50. In April, Target said it will raise its minimum wage to $13 an hour in June, from $12 currently, as it continues to gradually raise its wages to $15 per hour by 2020. Citing the recent tax cuts, retail giant Walmart announced that it was raising its minimum wage to $11, raising questions as to whether this move would push its competitors to do the same. The pharmacy and retail health chain announced in February that it would hike its minimum wage to $11 an hour, in addition to offering other employee benefits. *This story was originally published in December 2018 and has been updated to reflect new developments.